Why Financial Planning Is Important For Securing Future? Every individual whoever is responsible always makes sure that his future is secured along with his family members. However, in order to secure the future, one needs an advanced planning to make it executed ahead. One of the amazing business entrepreneurs, Atul Garg has already made his name in the market by launching many products including Oddy Uniwraps, the food wrapping paper. In this article, I’m here to pen down all the best ever reasons behind financial planning as suggested by Atul Garg. Income is one of the main reasons that one should go for the financial planning in a better way for considering a secured future ahead. This is important because it helps in managing income more efficiently as well as effectively. Managing income helps in the understanding of the fact that ultimately how much amount you’ll need for the payment of taxes, other expenditures on the monthly basis and savings. Increase flow of cash by carefully monitoring your expenditure patterns can help you manage your money in future. Tax planning, prudent spending and careful budgeting will help you keep more of your hard earned cash. A hike in income can aid you with the increment in the capital. It enables you to consider investments to enhance your overall monetary prosperity. Making life secured of one’s life is always a priority of every individual. However, on the second number of priority, come to their families. 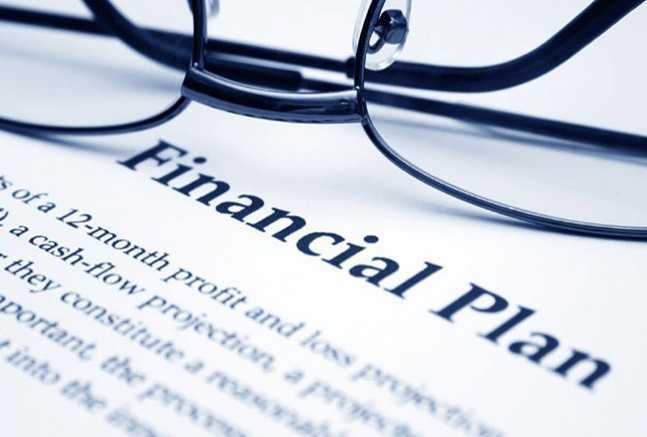 Offering a secured future for all the members of the family in terms of financial ones is one of the most important parts of the financial planning procedure. Having proper coverage of insurance and policies in place can provide peace to you as well as your loved ones as well. An appropriate investment of financial planning includes your personal circumstances, objectives and risk-taking capability as well. It performs a task of a guide in helping to choose the correct investments to get fit into your needs, personality, and goals. The savings are created with the help of proper planning that can be proven beneficial during the hard times of your lives. For an instance, you can check in a better way that whether there is enough insurance coverage to replace any lost income with when your family’s breadwinner is unable to work anymore. A better understanding of the financial terms can be made in the most suitable as well as measurable financial goals that have been set by you. A better understanding of financial understanding helps you decide the effects and consequences of any, particularly made decisions. Also, it helps it analyzing the results during its review period of time. Allowing you with a completely new process of your budget and improving control over the financial lifestyles. A nice ‘cushion’ in the form of assets is desirable. However, there are many assets that come along with many liabilities attached to it. So, it becomes an important task to determine the actual value of an asset. You should have the knowledge of settling or canceling liabilities that remain always remain attached with the understanding of your finance. The complete process helps in building assets that won’t become a burden in the near future. There was a time when savings were considered only for a particular season. However, the time has changed and similarly, the meaning of savings too has gone through a drastic transformation over a period of time. A sudden change in the cash flow has the capability to trash you off the track of your daily lifestyle. Henceforth, it is good to have some investments with high liquidity. These investments can be further used in times of emergency or for any other educational purposes. Establishing a healthy relationship can with a financial advisor help you achieve your goals in a much better way. Your financial advisor will meet with you to get a clear idea of your financial background and develop a comprehensive plan customized for you. Whenever people make up their mind for the investments, most of them consider FDs or mutual funds or stocks. Very of them think of their most important asset that this, themselves. Your ability to make money in the future will altogether prove out to be your human capital. What skills and the knowledge that you possess and what you create out of it becomes your experience. And this is what your biggest asset is. If it is not taken care of properly, it will shorten your potential of future earnings. In the current scenario, loans are available for almost your all sorts of completion of the task; whether it is education or getting a home. However, home loans are easily available with the help of IFL Housing Finance. When there is a genuine reason to borrow money like paying for your kid’s education. When it makes a logical sense to acquire something like a home by paying more cash now. And no, taking a personal loan so that you can have a destination themed wedding doesn’t really count. I hope that you have found this article useful in making up your mind in a better way about the plans for securing the future. Apart from this, you might have got inspiration from Atul Garg, the founder of Oddy Uniwraps, the food wrapping paper. The way he has made his product a necessity for the people and made his present and future secured is impeccable.